Blogging has a bright future. At least if we can believe recent surveys. Everybody who would like to try himself at this activity, can choose from many services with different features. One of the most popular options is Blogger. Being among top ten sites in the world measured by traffic for many years and being on good terms with major search engine, this is certainly a place to consider. If we know it is integrated with several other services also owned by this giant corporation, especially with very popular AdSense, this is just another plus when we think about opening a blog. It's completely free, we need only active Google Account (every user of Gmail has it) and it's really easy to use. Let's look at the background to understand what this platform has to offer and how to use it to one's full advantage. It was founded by Pyra Labs in 1999 and was initially called Blogger. There was no clear plan to make any kind of earnings from the very beginning and being run by programmers without business experience Blogger got into serious financial trouble in less then two years. Most of employees and even co-founders left the company in 2001. After investment by Trellix two new features emerged: Blogspot which was supported by advertising, and Blogger Pro which offered payed premium features. In 2003 Pyra labs was bought by Google Inc. for undisclosed sum of money. Series of integrations, like already mentioned Gmail and AdSense followed. Premium services from before became available to every user. After launching Picasa, photos from this service were integrated to Blogspot as well. Google + is another bonus. Google had less success with so called third party connectivity. Compatibility with MS Word's 'Blogger for Word' option is on and off going relationship. Without too many blows and whistles in 2009 they tested options to include Amazon affiliate service, but this apparently failed in less than two years. Localization of services which may come handy due different laws and copyright restrictions in different countries is on the way. With non stop improvements of the code blogging service became more user and search engine friendly. Writing and publishing is now easier than ever, there is less and less limitations due size of graphics or corrections of already written material. 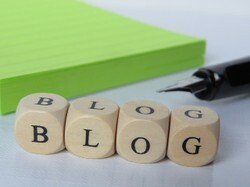 Name your favorite blogging service! Thanks to popularity there are hundreds and hundreds very useful and easy to follow tutorials available in handy video format. How to start, set your goals and spread the word around, everything is already covered in the most popular video service which is, by the way also owned by Google. 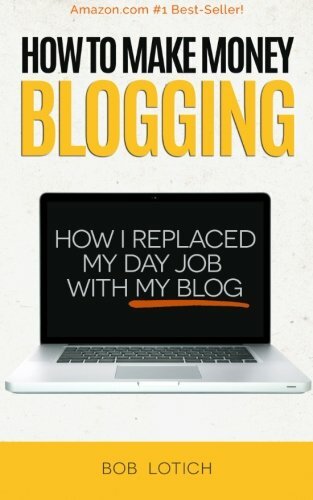 Best approach to the wonderful world of blogging is probably learning on the go. Yes, the main force to succeed is writing, but there are also many subtle, yet important tricks about researching material, presenting it in most efficient way, technical issues and of course always important promotion. Wordpress and Blogger are the most popular blogging platforms for many years. According to available statistics the Wordpress.org occupies number 34 on the list of all web sites and Blogspot.com is number 30 at the moment. They both used to be in Top 10 few years ago and were still in top 20 in 2014, but with the rise of social networks part of users moved from blogosphere to Facebook, Twitter and other places. Cloud services, like Google Drive, took their share of writers and publishers as well. So ... Is blogging falling out of fashion? I don't think so. It will just evolve in different more and more multimedia related and social-platform integrated forms. People will not stop reading. People will not stop writing. People will not stop communicating. Every Google account allows you to open up to one hundred million blogs with different names. This way literally everything can be in controlled from one place. Every single blog on Blogspot can be assigned up to one hundred different users, so you can build your own blogging community inside one single web address. With so many contributors you have a lot of options to collaborate on different projects and share the expertise of every individual not only among users but with readers from all over the world. While you are unlimited with number of posts, there are certain limitations in the size of a single post. This should not exceed one megabyte. Size of used images (all together) should not exceed 15 gigabytes and number of static pages is limited to twenty. If you don't know what is a static page, you probably won't need them. All these restrictions are much more generous than at Wordpress and majority of mortals will never feel limited by them. You can also set your personal Favicon, what is just one more step at personalization of you Blogspot, but most of all features is probably ability to monetize it through the biggest advertising service on the web. Many successful web entrepreneurs started with a single blog and if you already have Google account, there is no reason not to give it a try. Blogspot can be assigned by custom domain of your choice what means you can use a name without 'blogspot' extension and have this blogging platform for hosting only. While you will stay limited with available themes and you won't have all possible widgets, statistics and other goodies available with your own hosting, this still gives you nice head start if you need free host and you don't want to spend any time on technicalities. Great resource with many tips on writing for web - it's written in Slovene language. Interesting blog with many useful resources for every on-line writer. Do you use Blogspot for blogging? You are right, MBC, having a blog can be too much work sometimes. I also prefer working on Wizzly here right now, but having another place can be beneficial too. Thank for stopping by. I had a blog on blogspot but maintaining a blog became an issue for me. I prefer to write for Wizzley. Indeed, CruiseReady! I abandoned several blogs for years, but recently started publishing in couple of them and the traffic came back surprisingly fast. It looks the age of blog is important factor too. @jptanabe: Thanks for your comment. I hope you'll get a chance to try both of them. We have a saying it's always good to have more than one iron in the fire! Yes, I started with Blogspot but I have now started using Wordpress as well. They both have pros and cons, of course! @candy47: It's good to work on both - in my opinion blogspot is a bit easier for beginners, but wordpress offers more choices and is better platform if you intend to work with your own sites. I have a couple of Blogspot blogs, but I'm going to try my hand at Wordpress.